Make a trail of petals – This is the “set up” one to give the big hint to your partner that you want them to head to the special place. Try to scatter them modestly as you go on the first attempt so you don’t run out half way there. If you have left overs, do another round. 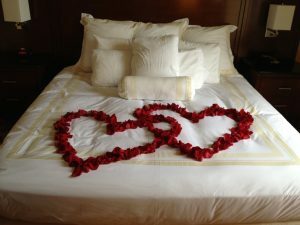 Onto the bed – Now we are in business, you partner has followed the trail of petals to the bedroom and you can now show the big hint to get the m onto the bed. Construct a love heart – Might sound a little clique this one, but hey, it’s the thought that counts and when love is in the air, something like this can only help. Say my name baby – Well, spell it out instead, write his/her name in rose petals somewhere they will remember, this is definitely a sweetener they want forget. In the bath – This could be used for a quiet night in on your own or for a bath for two with your partner. Floating rose petals on the water will take you off to a foreign and romantic place. Surprise petal rain – Want to surprise your loved one as they walk in the door? Well now why not shower them in rose petals? Careful not to hit them too hard in the face. Dinner table – Making a romantic meal and want to have it really shine? Well why not surround it with some nice rose petals. You could vary colors according to the meal. Through the garden – Have an idea for a romantic sunset and want your partner to meet you on your favorite garden bench? 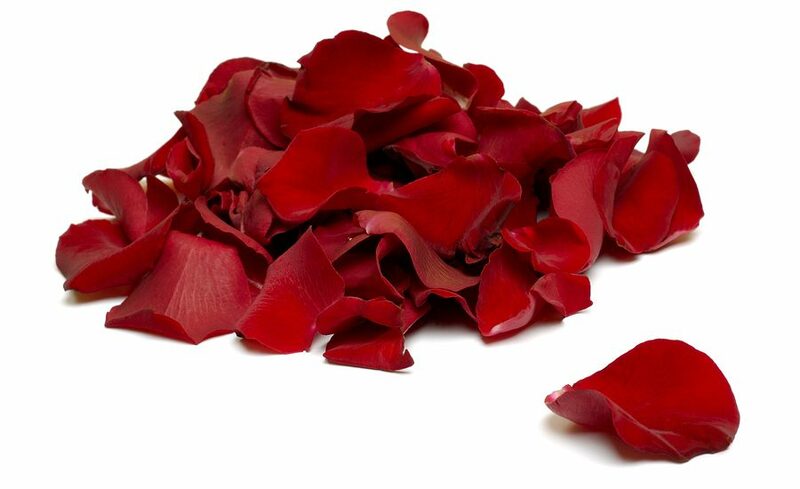 Set them a rose petal trail through the garden and meet them with a nice bottle of champagne. Open the draw – Classic trick for a surprise gift is to fill your partners regular draw with rose petals and at the bottom place the special gift you bought them. They won’t forget that present. Hotel room – On your next vacation ring ahead to the hotel and request they leave some mini rose petals on your bed before arrival. This will be a great surprise for your partner and get you straight into the good books. We hope this guide helps you use your left over mini rose petals and have some fun with your partner.